subject Jan 14, 2013 super lucky ! I know that All the guest hoping see more whale shark. Today my guest saw two whale shark together moving around from them. 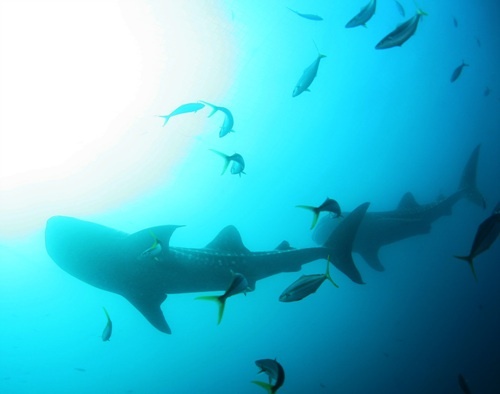 If you have very lucky and super lucky, you may see 3 or 4 whale shark together in a time.